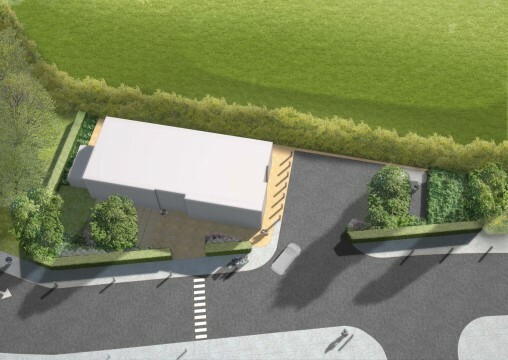 We were appointed as landscape architects by a client’s agent for this commercial coffee outlet at the edge of a retail park on the north edge of Huntingdon, Cambridgeshire. We developed a landscape design to the satisfaction of the client then prepared landscape architect ‘s information to support a detailed Planning submission. 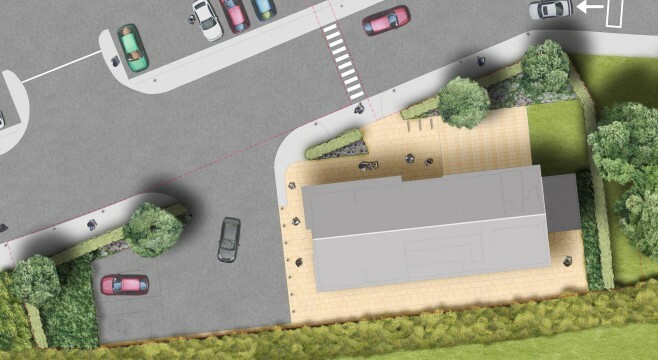 The landscape design for this project dealt with the pedestrian entrance to the building, an outdoor seating area for customers and the outlet’s parking requirements for a number of disabled users. Our landscape architects worked closely with the client’s architect to achieve a harmonious design between the internal and external spaces. Within the plot boundary, to its western edge, six small to medium sized TPO trees are located. Our landscape architect’s needed to consider these carefully, minimising the detrimental impact of development on their roots. 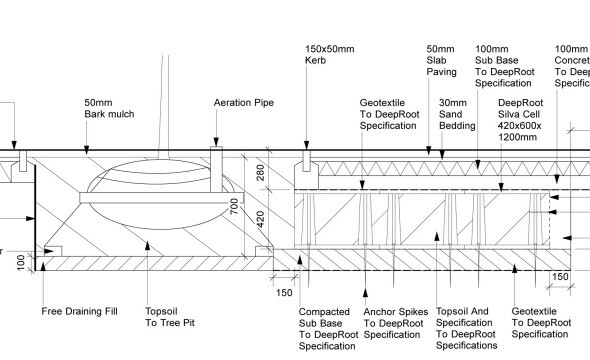 In addition to the design of the external space and associated planting schedules our landscape architects were required to considered the likely build process and how that might impact on the health of these existing trees. The Local Authority Tree Officer was very interested in our landscape design, particularly the locations of proposed trees and the detailed design of their installation. 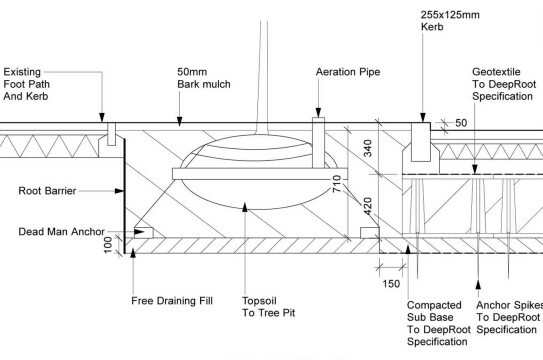 Due to the narrow zone in which the proposed trees were to be planted it was considered necessary to specify a plastic load bearing cell structure (backfilled with topsoil) beneath areas of hard paving. This detail ensured the roots of trees planted in these locations would thrive. After much negotiation the Tree Officer accepted our landscape design and details were approved. Client: Churchmanor Estates Co. Plc.